Since 2005, GHA is an international NGO uniting more than 500 members in 56 countries and more than o¬ne million participants from the GHA collective members in 80 countries. In past years, the GHA has inspired women for harmonious educational mission o¬n the basis of the world’s first ABC of Harmony (www.peacefromharmony.org/?cat=en_c&key=478) and global peace projects arising from it. GHA APPEALS TO WOMEN TO TAKE THE HIGH MORAL MISSION OF SPIRITUAL LEADERS FOR GPS and GLOBAL PEACE to become a modern MOTHER TERESA FOR THEM. The presence of women to these global projects will strengthen women’s rights; provide them with gender equality, empowerment and freedom from kitchen slavery. As Gandhi said, “womanhood is not restricted to the kitchen. When the woman is liberated from the slavery of kitchen then o¬nly her true spirit may be discovered…” The education of women is of paramount importance, “If you educate a man you educate an individual, but if you educate women you educate an entire family” (Gandhi’s proverb) and therefore peace. So harmonious education in the ABC of Harmony and GPS primarily serve to global peace, women and society. Your mission of global peace opens up entirely new prospects for a radical improvement of the social status of women and will increase the role of women in world society. Women rising for peace will elevate themselves and others. GHA congratulates Global women Peace Leaders and wishes you a happy life in peace from harmony, which can only be the result of your high moral mission of global peace!. The GHA offers a bucket of flowers with PEACE & HARMONY! Prof. Kofi Awoonor was born in Ghana on March, 1935. He was a poet and author whose work combined the poetic traditions of his native Ewe people. He was a Prof. of African Literature at the University of Ghana. While at the University of Ghana he wrote his first book, Rediscovery, based on African Oral Poetry. He founded the Ghana Film Corporation and the Ghana Play House. He was Ghana’s Ambassador to the United Nations, where he headed the committee against apartheid. He was the former Chairman of the Council of State in Ghana. Some of his works are- Rediscovery and other Poems (1964), Night of my blood (1971), The house by the sea (1978), This earth, my brother (1971), Comes the voyager at last (1992). We empathize with Prof Awoonor family, Africans, and all Poets for this great loss. We mourn also the death of over 59 others who were killed during an attack on the Westgate Shopping Mall in Nairobi on the 21st September, 2013,(on a peace day!) in Kenya by Somali militant group Al-Shabab. MAY THEIR SOULS REST IN PEACE IJN. THE GENERAL PUBLIC IS CORDIALLY INVITED TO CELEBRATE INTERNATIONAL PEACE DAY WITH GLOBAL HARMONY ASSOCIATION (AFRICA) AT MAISON FRANCAISE HALL, UNIVERSITY OF GHANA, LEGON. LECTURES,PANEL DISCUSSION ET AL TIME: 8AM-10AM SPLENDORS OF DAWN POETRY FOUNDATION INVITES YOU ALL TO ACCRA MALL : TO A WONDERFUL DAY OF PERFORMANCE POETRY, SPOKEN-WORD, SPLENDORS STORY TELLING TRAIN ET AL AT 11AM-3PM VENUE: ACCRA MALL. DATE: 21ST SEPT. 2013. 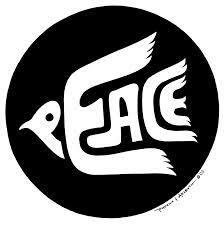 EACH YEAR THE UN INTERNATIONAL DAY OF PEACE IS OBSERVED AROUND THE WORLD ON 21ST SEPTEMBER. 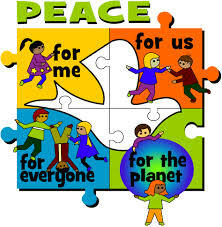 THIS IS A DAY DEVOTED TO STRENGTHENING THE IDEALS OF PEACE WITHIN OURSELVES AND AMONG ALL NATIONS AND PEOPLES.